This month we have been continuing work on the backend infrastructure of the SelfKey Marketplace and how your data is handled in a KYC process when applying for products or services. This month we have been continuing work on the backend infrastructure of the SelfKey Marketplace and how your data is handled in a KYC process when applying for products or services. 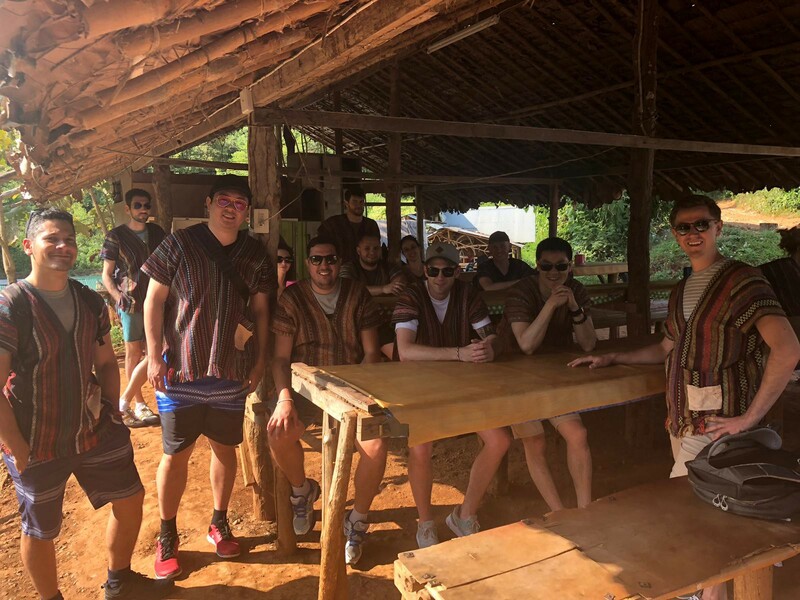 Earlier in December, we also had a team meetup in Northern Thailand to review the past year and strategically plan out 2019. As a remote team, many of us were meeting each other for the first time. While we talk to each other nearly every day in our internal chat and on video calls, it was nice to finally get together and see what each other was like outside of the work environment. We started out with some team building events to get everyone situated for the upcoming week. Many folks flew in from Europe so there was jet lag to overcome. Edmund started out on Monday with an annual review of what SelfKey had accomplished in 2018. The team also reviewed key lessons and improvements that we can make in the upcoming year. The working philosophy is that mistakes should result in process improvements so that they don’t happen again. 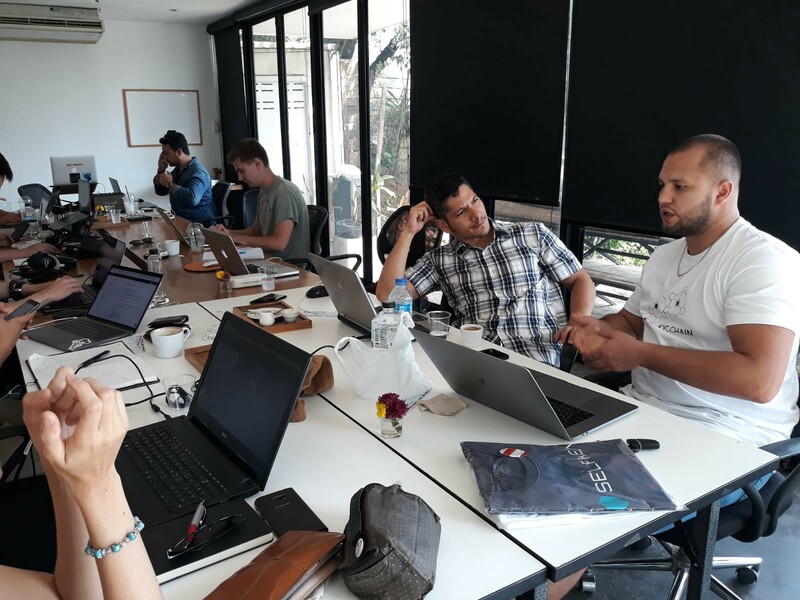 The SelfKey development team was also present and also got to discuss some longer term digital identity initiatives such as the ERC-1484 protocol (learn more) and Identity Hubs, along with how these will fit into the product roadmap starting with a proof of concept in the near future. As a remote team, strategic planning and ideation can be tough when all you have is a webcam and microphone, so it was very helpful to meet up together and do this in person being in the same room. The SelfKey Identity Wallet is a free identity solution for Windows and Mac. Get yours today! 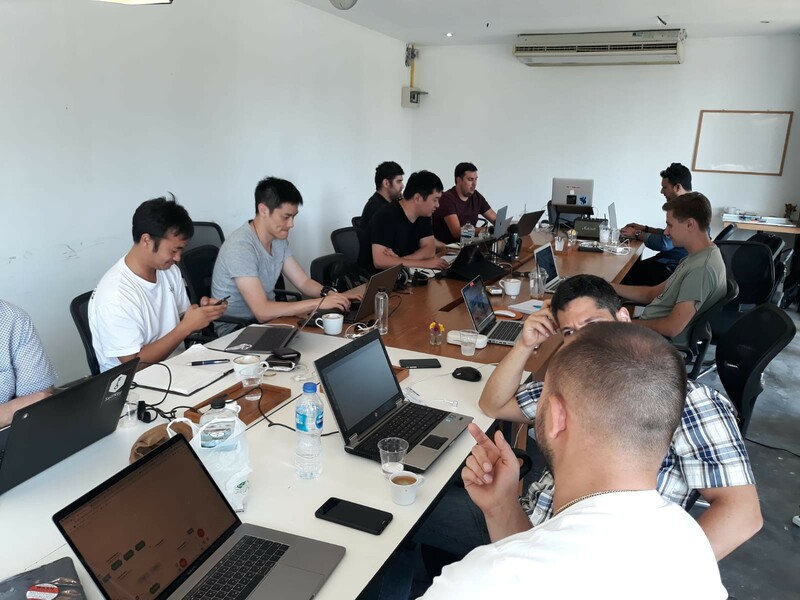 We also spent many days discussing the SelfKey Marketplace and the remaining tasks we need to complete before the launch. 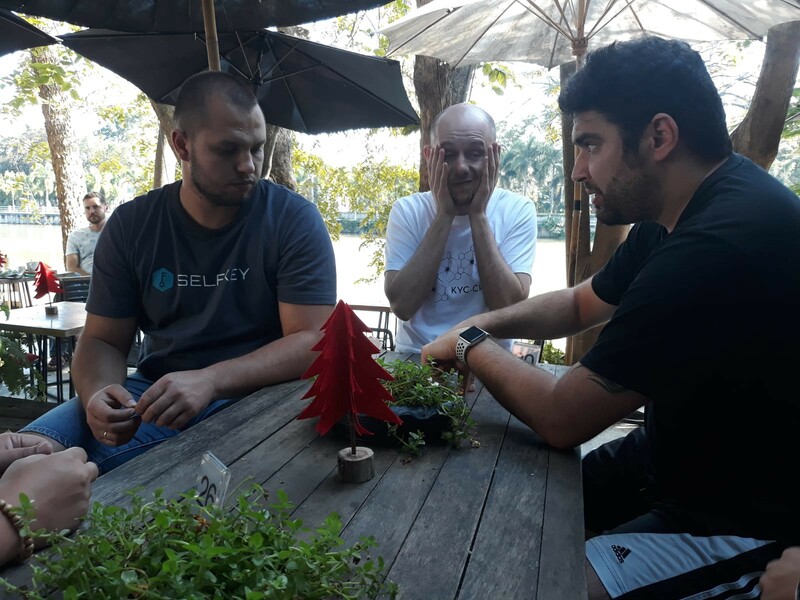 Pictured below are our developers Max, Felipe, and Ben going through API details while waiting for their lunch. We also discussed the API documentation required that will be required for a partner to integrate with the SelfKey Marketplace, along with providing a sandbox environment, video tutorials, and more. Felipe does look a bit stressed! With data breaches happening every few months in the past year, we’ve also created some new posts in the past month about identity theft, how to protect yourself, and the mission of SelfKey to make this a thing of the past. Introduction To Identity Management (Link): Identity theft is one of the fastest growing crimes in the world. Research shows that there is a new victim every 2 seconds with over 14.2 million credit card numbers and 158 million social security numbers exposed in 2017. Hacking software is also getting more sophisticated with 35% of users having weak passwords. Introduction To Blockchain Identity Management (Link): Clearly our current approach to identity management is broken. Instead, a blockchain-based digital identity solution could focus on three key challenges: security, privacy and usability. Identity Management Statistics (Link): Identity management is an increasingly important subject. 2017 saw a record number of data breaches and cases of identity theft, meaning most of us have experienced some failure in our identity management. How SelfKey Uses Gherkin Language and Blockchain to Tackle Identity Management (Link): I’m very excited to bring you the first (of many) SelfKey team member interviews. These interviews are designed to increase transparency and clue you in on all the recent developments in the SelfKey ecosystem. Beyond that, I have structured the interview to cover interesting new topics, meaning that those of you interested in concepts like Gherkin, blockchain or identity management don’t come out empty-handed. ProBit Exchange Lists KEY/BTC, Win US$50,000 worth of KEY (Link): The SelfKey Foundation is happy to announce that its native utility token KEY will now be available on the excellent ProBit exchange. A trading competition for KEY will be held where 5,000,000 KEY will be won by Top 100 global users, proportional to the volume of KEY traded. This contest is not eligible for US citizens. KEY Token Listing on Exchain (Link): Exchain is an exciting new platform that has just received a licence to operate in Malta, Focused primarily on the Chinese blockchain community however, Exchain will make KEY even easier to get for Chinese residents. KEY, the native utility token of the SelfKey ecosystem, is now listed on the growing exchange platform Exchain. In the coming weeks, we’ll also be releasing some new videos on our Youtube channel (here) and updating the Help Center. Much of the content will be geared towards first time users of the wallet and having proper tutorials for the SelfKey Marketplace once it is launched. Some examples of upcoming videos include how to import an Ethereum address from other platforms, how KEY deposits will work, using the address book, and other functions that will be updated in the wallet. Thank you for being a supporter of SelfKey and joining us on this journey. We look forward to achieving more milestones and partnerships in 2019 and hope that you had a great holiday going into the new year. Get updates straight to your inbox!